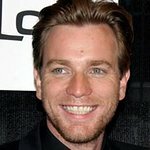 The British Academy of Film and Television Arts Los Angeles (BAFTA Los Angeles) is pleased to announce it will honor actor-director Ewan McGregor, OBE, with the Britannia Humanitarian Award at this year’s British Academy Britannia Awards. The annual gala celebration will take place on Friday, October 28, 2016 at the Beverly Hilton Hotel. As previously announced, the evening will be hosted for a second time by British actor and comedian Jack Whitehall. Ang Lee will be honored with the John Schlesinger Britannia Award for Excellence in Directing, Samuel L. Jackson will be honored with the Albert R. Broccoli Britannia Award for Worldwide Contribution to Entertainment, and Ricky Gervais will be honored with the Charlie Chaplin Britannia Award for Excellence in Comedy. World-renowned television and event production company Done + Dusted will produce the ceremony. The Britannia Humanitarian Award is presented to a colleague who has used the art form of the moving image or their position in the entertainment industry to create positive social change, and actively shine a light on important humanitarian issues. The award has previously recognized Idris Elba, Richard Curtis, Don Cheadle, Colin Firth, Mark Ruffalo, and Orlando Bloom. McGregor receives this honor in light of his work with UNICEF, having recently travelled to northern Iraq to see how the conflicts sweeping across Iraq and Syria are devastating children’s lives. McGregor, who makes his directorial debut this year with “American Pastoral,” is using his platform to bring awareness to the unimaginable horrors facing these children, and worked with UNICEF to help provide lifesaving food and water, child protection services, and healthcare to those families in need. Often hailed as one of the finest actors of his generation, Ewan McGregor consistently captivates audiences with a diverse line-up of roles across a multitude of genres, styles and scope. Up next, McGregor will star in his directorial debut American Pastoral, based on the Pulitzer Prize-winning novel of the same name. McGregor will star in the film opposite Jennifer Connelly and Dakota Fanning. Lionsgate will release the film October 21, 2016 and premiered at the Toronto Film Festival on September 9, 2016. McGregor recently wrapped production on Trainspotting 2, where he will reprise his role as “Renton,” opposite Jonny Lee Miller, Ewen Bremner and Robert Carlyle. The highly anticipated sequel, based on characters created by Irvine Welsh, will reunite Danny Boyle as director with screenwriter John Hodge and all of the principal cast of the 1996 film. The story, set in the late ’80s, follows a group of heroin addicts in an economically depressed area of Edinburgh. Sony will release the film February 3, 2017. On March 17, 2017 McGregor will star in Disney’s remake of the classic film Beauty and the Beast in which he plays “Lumiere.” McGregor will soon begin production on FX’s Emmy-winning drama, Fargo. He will play brothers, Emmit and Ray Stussy, in the season-three anthology which is set to air in 2017. McGregor can recently be seen in the political thriller Our Kind of Traitor opposite Stellan Skarsgard, released July 1, 2016. Additionally, he can recently be seen in Rodrigo Garcia’s Last Days in the Desert, where he plays both a demon and a holy man on a journey through the desert. The film premiered at the 2015 Sundance Film Festival and was released on May 13, 2016 by Broad Green Pictures. McGregor can also be seen in Don Cheadle’s Miles Ahead opposite Cheadle and Zoe Saldana. The film premiered at the New York Film Festival and was released by Sony Pictures Classics on April 1, 2016.